With over 13 years of experience, Konclusive Sourcing (KS) is proficient in finding quality products and establishing key relationships both abroad and stateside. Our goal is to deliver solutions that not only solve your immediate problems, but also enhance the very way you do business. We continuously search for top-tier factories and develop new partnerships while fostering the scores of relationships that we already have. By doing so, we are able to consistently provide quality products at an exceptional rate. 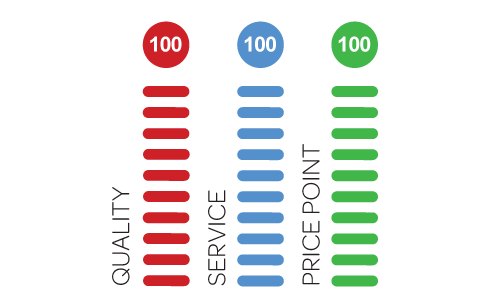 We recognize that price is important, but our skilled team makes sure that quality and service are never sacrificed. Therefore, we work diligently to deliver goods of the highest caliber at a favorable price point. Our team includes Chinese natives that understand both the culture and landscape surrounding the sourcing of products in that region. With Asia being one of the eight largest developing economies in the world, this is a crucial advantage. The ASEAN – China Free Trade Area, which launched on Jan 1, 2010, impacts the largest regional emerging market in the world and enacts zero tariff rates on virtually all imports. A thorough understanding of what this entails and the consequent process is essential to success in this environment. With one of the largest freight forwarders in the world, KS has the capability to warehouse products both domestically and abroad; and offer full turn-key solutions to our customers. Allow us to be your supply chain. Whether you’re importing/exporting, moving freight, warehousing or sourcing product(s), KS will guide you through the process from start to finish. Call today at (708) 381-0343 and leave the rest to us. Finding the right partner to bring your concept to life is important. Konclusive Sourcing is the best fit to help you navigate through the development process. Product development has several steps such as: engineering & design, patent registration, product sourcing, branding, marketing and product placement. As a client, experience significant savings by streamlining all of your costs. Over 90% of the product development process is done in-house. Optimize your quality, service, performance, cost and you will see your concept come to reality!